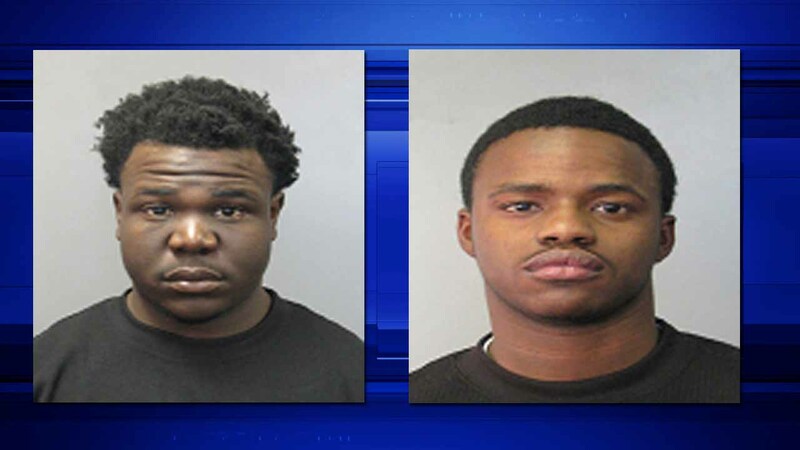 HARRIS COUNTY (KTRK) -- Two men were arrested Monday and booked into jail after reports of suspicious activity in north Harris County. Harris County Constable Precinct 4 responded to the 11900 block of Paramount Lane just before 5am for a possible burglary in progress. When they arrived, authorities found 17-year-old Brock Matthews and 26-year-old Charleston Ransom. During the investigation, it was discovered that the vehicle the suspects were hiding in was also stolen. Matthews was arrested and charged with unauthorized use of a motor vehicle and unlawful carrying of a weapon. Ransom was arrested and charged with unlawful carrying of a weapon. Both suspects were booked into the Harris County Jail.